Ploß® furniture is characterised by its high ease of use and longevity. Our collections have been carefully thought through, inviting users to combine different materials and ranges. 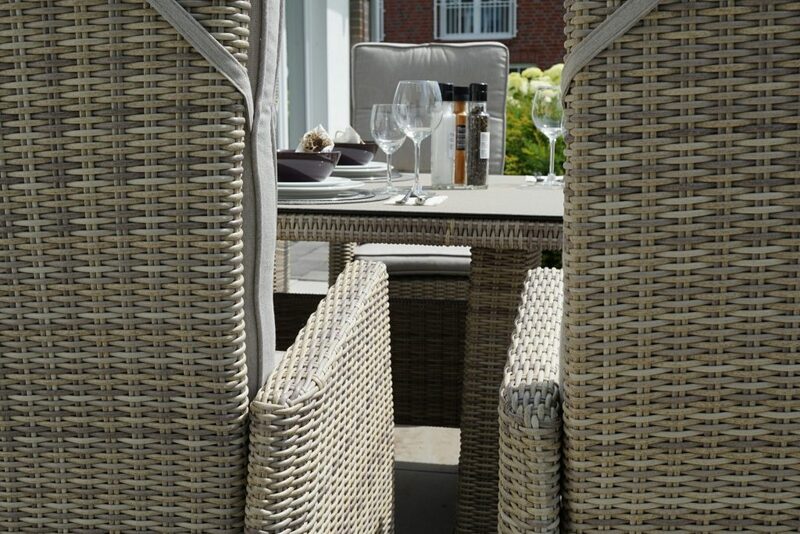 Solid teak tables with airy wickerwork armchairs have proved to be particularly successful. Our broad palette contains items to suit every taste: modern and angular, playful with ornamental carvings, romantically sweeping lines, classical, classy etc. Aside from user comfort, our top priority when designing collections is always their weather resistance and longevity. Furniture by Ploß® is built to withstand the wind and weather, and be immediately ready for use when the “sunshine moment” comes around, for relaxation, recuperation and socialising. We meet the high demands that our customers have toward the quality of our furniture by being extremely conscientious in buying the raw materials and maintaining a high-quality manufacturing process. 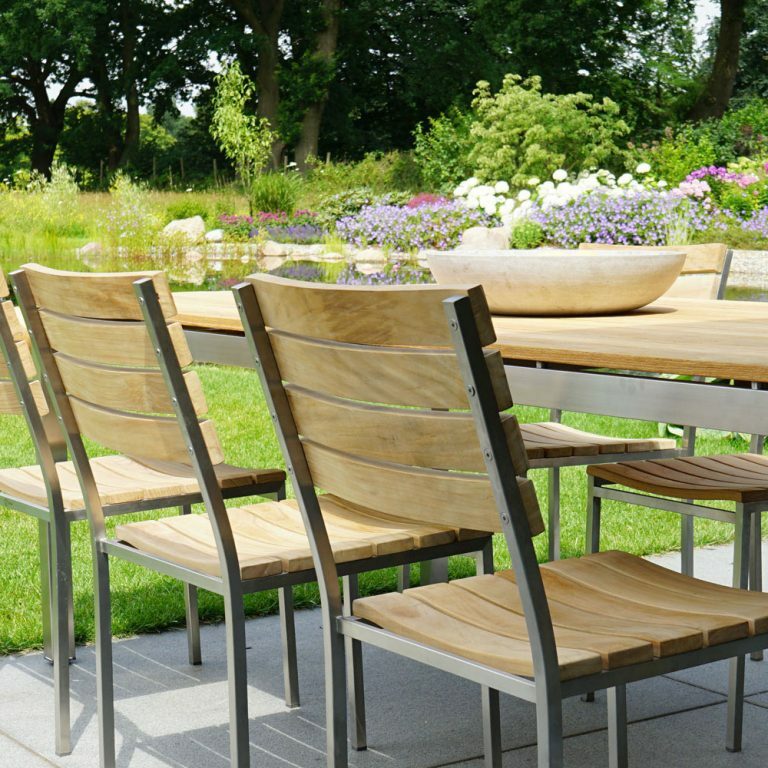 For the most part, the teak wood used in our garden furniture is processed by SVLK-certified experts in Indonesia, observing proven manufacturing traditions, such as using slot mortice joints to increase stability and repeated polishing for higher weather resistance. There is no place for veneered wood or treated teak in the Ploß & Co. collection. 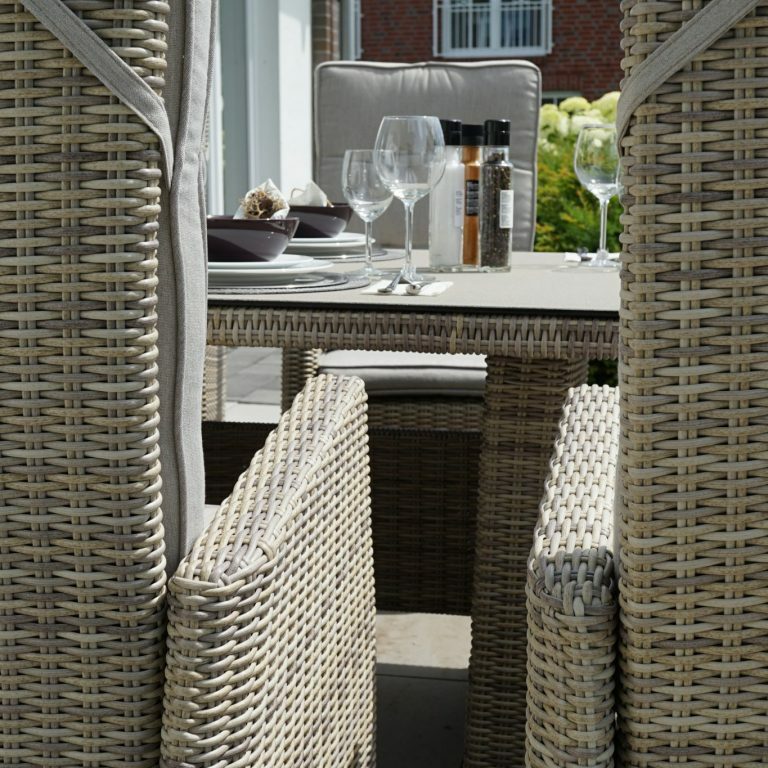 Ploß® garden furniture made of poly-rattan weave is completely waterproof, unlike natural rattan, absorbs almost no moisture, is UV-resistant and easy to look after. Colour-proof, high-quality strands are woven onto aluminium frames by hand in China and Vietnam. We travel around our procurement markets in South-East Asia several times a year. And the focus is always on trends and quality. Also, specifically in the field of teak, the use of certified plantation wood for which we are committed to making sure it is FSC and SVLK certified. In each country, Ploß® has its own quality assurance bureaux, which are constantly in touch with the Ploß® headquarters. 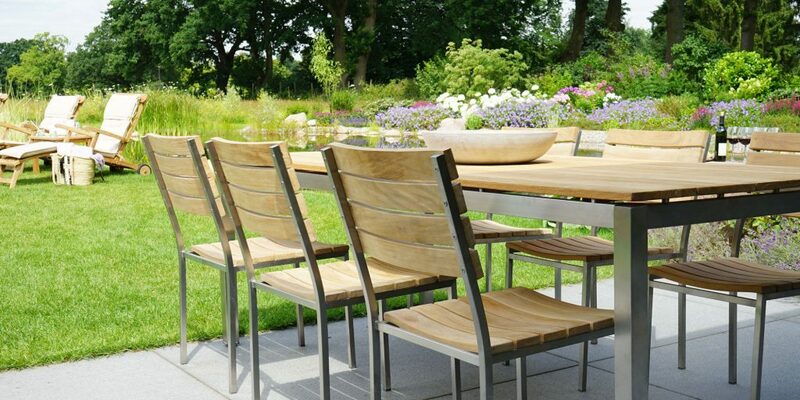 The best thing is for you to discover the advantages and the comfort of Ploß garden furniture for yourself. Get expert advice from a specialist retailer or else order your products straight from one of our many online retailers. Wir produzieren Gartenträume und vertreiben Sie über ein weites Händlernetz – stationär und online. Den nächsten Händler in Ihrer Nähe suchen wir Ihnen gerne persönlich raus. Senden Sie uns Ihre Anfrage gerne per Email info@ploss.com oder melden Sie sich telefonisch (040 – 537161-93) zu unseren Öffnungszeiten. Those who are in the Hamburg region are advised to visit our warehouse outlet. 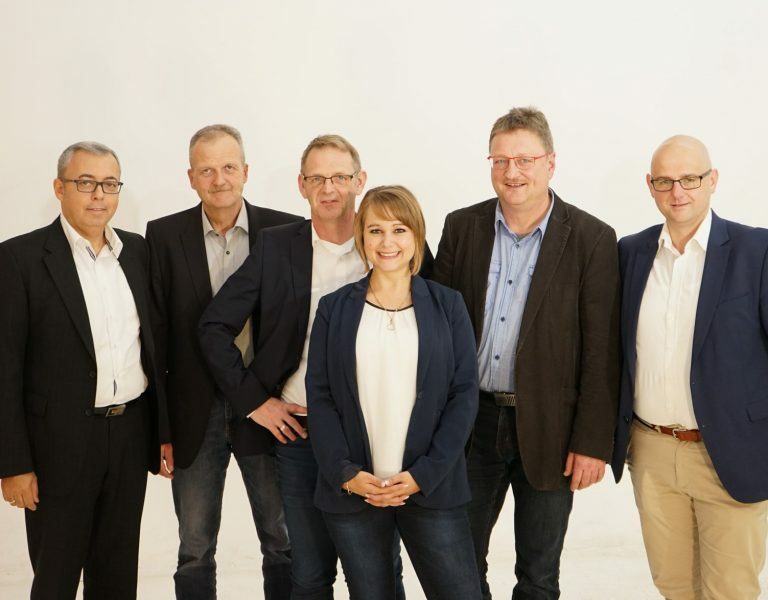 Today, Ploß & Co. GmbH sells high-quality garden and balcony furniture, primarily to specialist retailers, furniture stores, garden centres and well-stocked specialist DIY stores, as well as e-commerce retailers. Ploß & Co. GmbH offers everything from attractive entry-level ranges to exclusive high-end lounge and dining furniture. Years of familiarity with the market and our suppliers vouch for consistently high quality and fair buying prices. 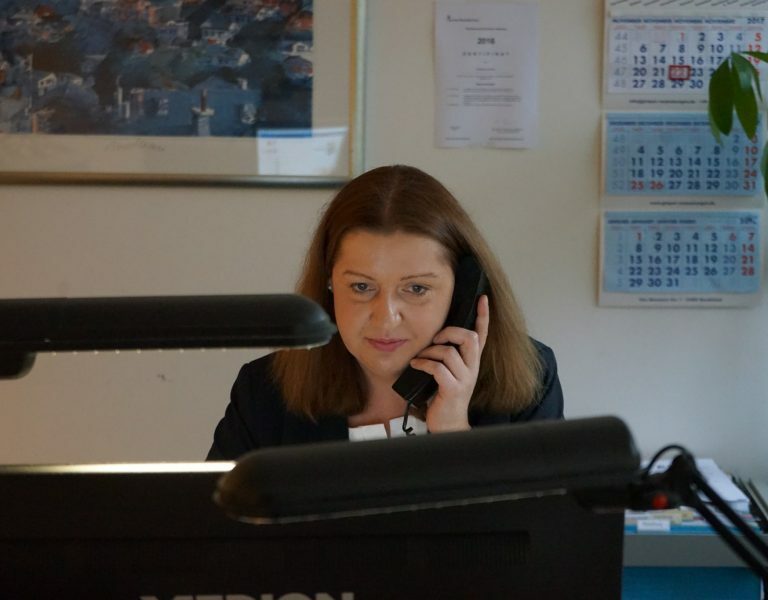 The purchasing department of Ploß & Co. GmbH works hand-in-hand with the sales department and coordinates the procurement of the products and the supply to our customers. Individual customer requests can be fulfilled quickly thanks to close connections with our partners. These requests range from private label products through to developing customer-specific furniture ranges which are delivered to customers directly by container or via our warehouses. A strong sales team along with experienced buyers will be happy to realise direct container projects for customers with centralised warehousing facilities. The efficient bundling of suppliers ensures a high degree of combinability of the different articles. Along with sound supplier relations, this is essential for the inexpensive and punctual delivery of your products. Our storage area of 7,000 square metres means that even specialist retailers requiring small quantities are in the right hands with Ploß. The entire range is in stock and is delivered directly starting with 1 item. However, the stocked warehouse including its modern logistics system allows us to reliably take care of big orders too, as well as being able to supply products throughout the season. Ploß®: Choice, Competence, Quality and Reliability. 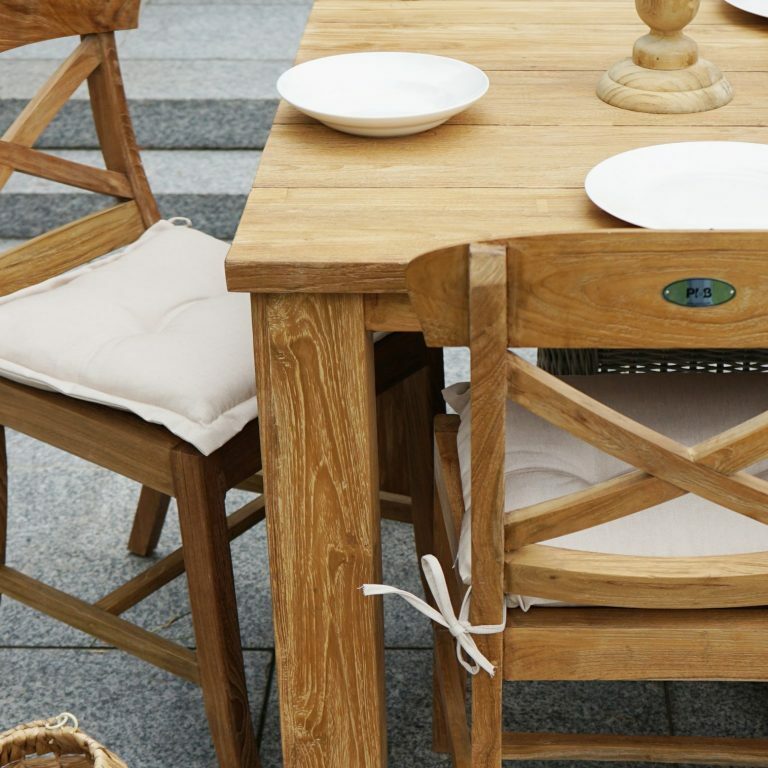 Ploß & Co. GmbH has probably the most comprehensive range of teak furniture in Germany, know-how about the material and its workmanship that has accumulated over decades, and reliable and established contacts to suppliers in Asia and Europe. 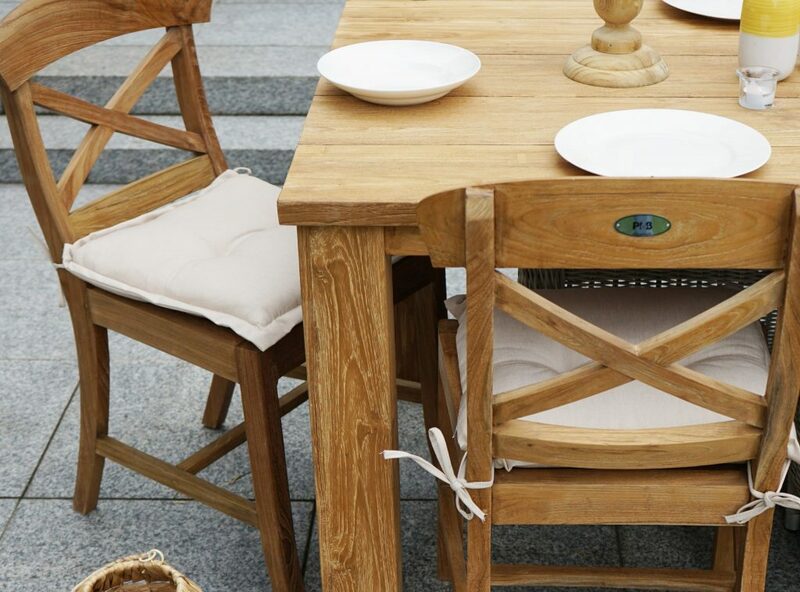 This makes Ploß a reliable manufacturer of high-quality but affordable furniture for indoor and outdoor use, with punctual delivery and high quality standards. No matter whether delivered from our warehouse or by direct container.